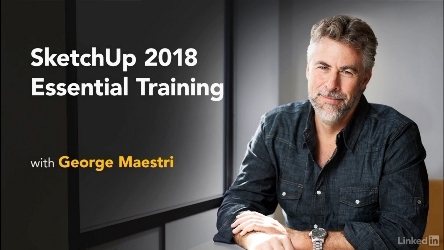 Lynda Sketchup 2018 Essential Training 2017 Tutorial | Free eBooks Download - EBOOKEE! Instructor George Maestri covers navigating the interface, manipulating objects, drawing in 2D and 3D space, leveraging organizational tools, and working with materials and textures on both Windows and Mac computers. Plus, learn how to work with reusable components-including third-party objects from the 3D Warehouse-and apply simple styles and animation to make your 3D projects more polished and presentable. No comments for "Lynda Sketchup 2018 Essential Training 2017 Tutorial".